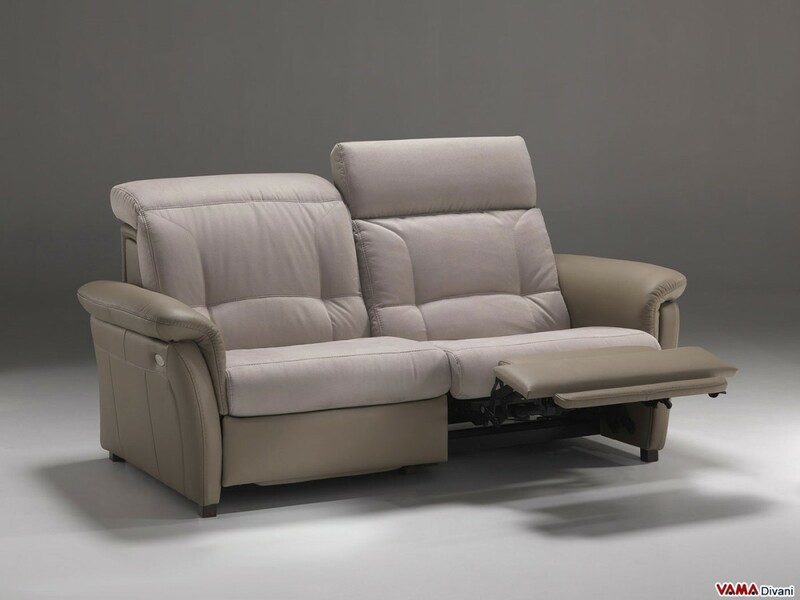 Reclining sofa which provides the best level of comfort, thanks to its ergonomic design and its electronically adjustable footrests and headrests, even when seated. This sofa in leather and microfibre presents a very simple and elegant style that you can show both in modern spaces than in more traditional ones. Olaf is an elegant and stylish sofa designed to offer a really impeccable comfort. In addition to offering a perfectly ergonomic design and its soft padding, the contemporary Olaf sofa provides electric footrests and headrests for changing its position even while seated, without any effort. 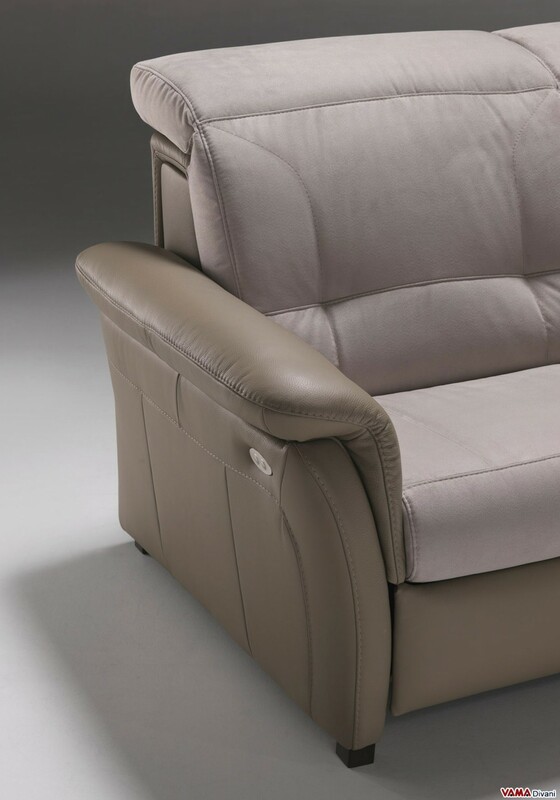 The great convenience of use and especially the impeccable ease that the Olaf sofa is able to offer make it really perfect to be even used by people with walking difficulties or by elderly people. The upholstery of this sofa is made of leather and microfibre with a very delicate two-tone combination of colours. The nice and simple style of the reclining Olaf sofa is ideal both for a classic and for a modern space. The size of the standard version is 188 cm, but the Olaf sofa, like all the Vama Divani electric reclining sofas, is available in other sizes.